The Library has 8 computers available for public use during all hours the Library is open. Either log in with your Manchester District Library card (or other participating TLN library card) or ask the staff at the Circulation Desk for a visitor's pass to log in. The computers offer Microsoft Office software, and are available for web browsing. Users may plug in USB devices such as thumb drives and digital cameras, as long as the device does not require that software be installed to use it (i.e. you can access Word files on a USB drive). 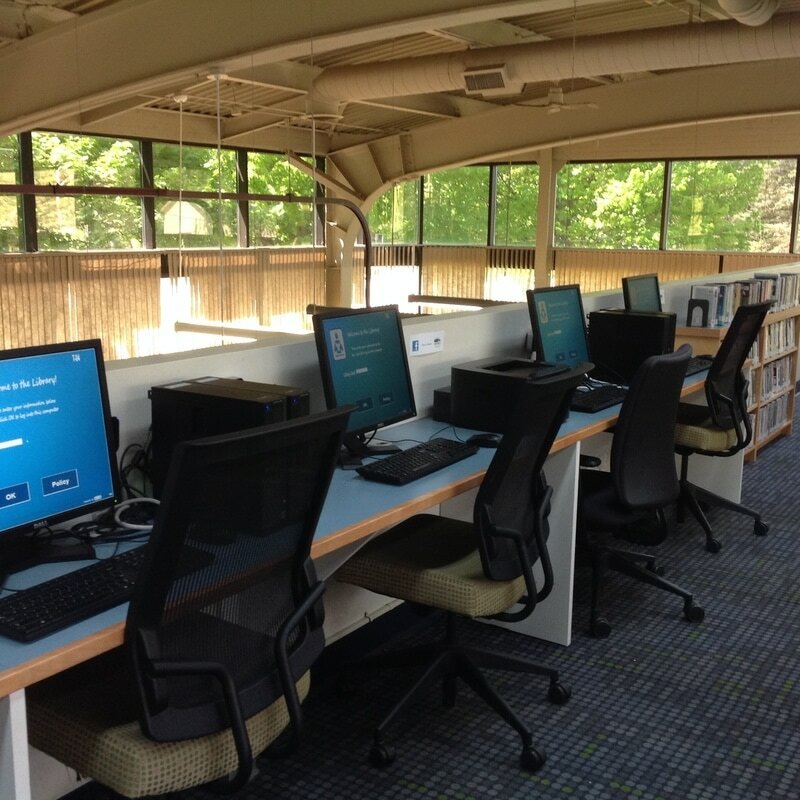 The Library uses an automated time-management system to help supervise computer use. During busy times, each user gets 30 minutes of time. If not all computers are busy, or no one is waiting, your time will be extended (up to 1 hour for visitors, 4 hours for those with library cards). 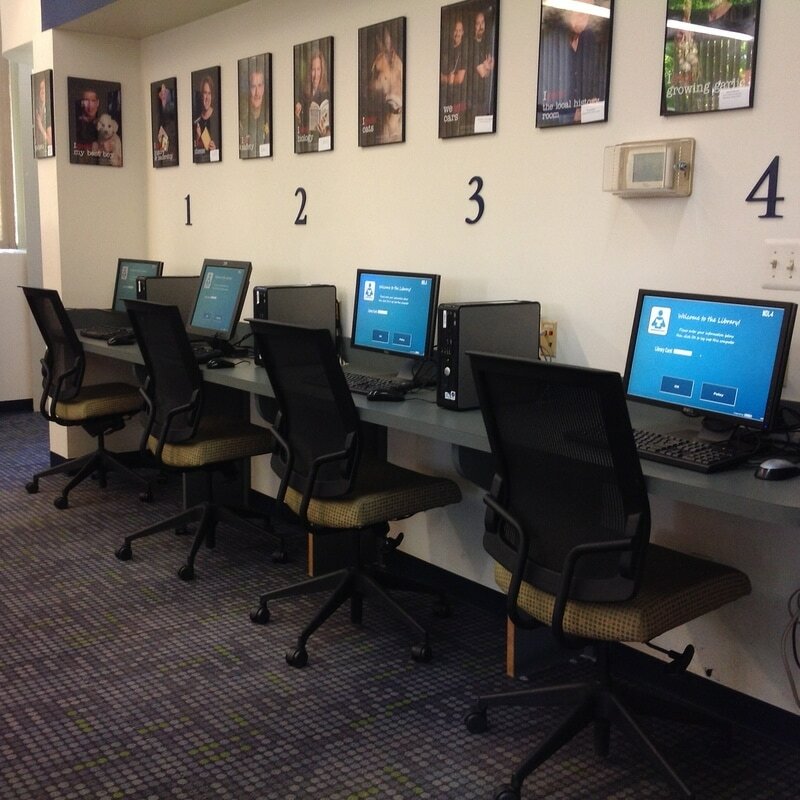 The Library has high-speed Internet access that makes it possible for many people to be on-line at once. Checking email is fast, and users are able to watch videos or access media-heavy web sites. For users with laptops, tablets, smartphones, and wireless devices, the library broadcasts a free, high-speed wireless internet signal through the building 24/7. You do not need to have a library card to utilize this resource. There is a long work counter on the 2nd floor of the Library with power outlets at every seat, perfect for wireless users. You should also be able to catch the signal from the parking lot - the front lot usually has a stronger signal, but you may also be able to get a signal from the lot behind the building, allowing you to access the internet outside of our business hours. Our Canon ImageRunner 1730 is available for public use. 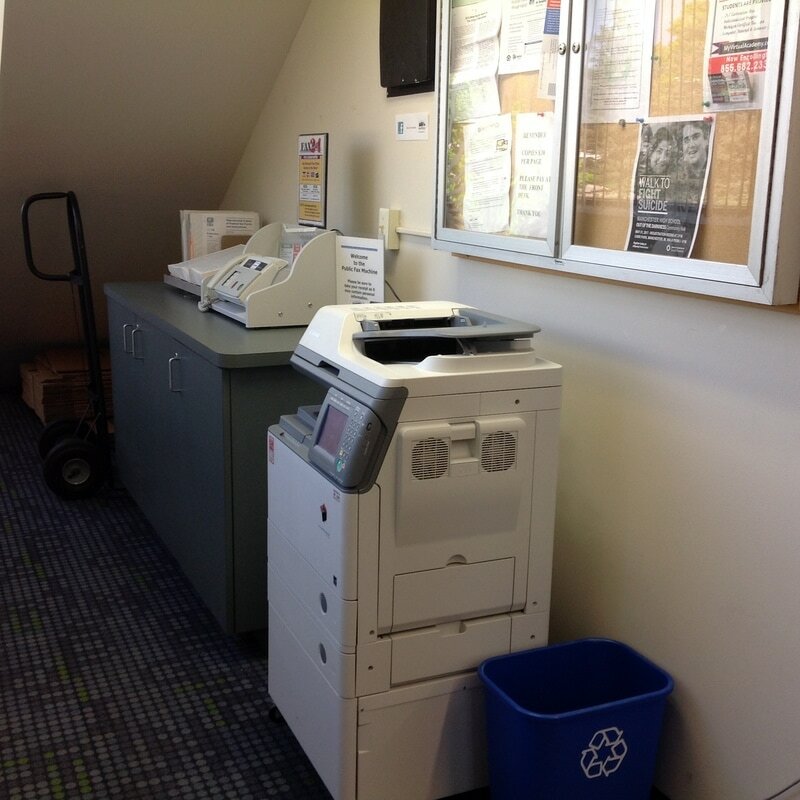 It allows you to make copies, scan a document (sending it to your email as a PDF), and print from our public computers (or your mobile device using our wireless printing option). Scanning is free; copies and prints cost .10 cents per page. At this time, we only have black-and-white printing available. The Library has a FAX machine available for public use. This is a self-service machine that you operate yourself. Directions for use are on the machine. The first page costs $1.75 to send, with each additional page in each job costing slightly less.